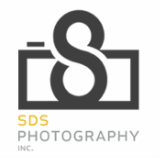 Events - SDS Photography, Inc.
My event work has grown over the years and covers a wide range of styles. I cover a lot of local events for Roanoke County Department of Tourism including Touch-a-Truck, Zombie Run, Ton's-of-Fun, Rally for Road Safety among others. I have also covered the Guns-N-Hoses event and even a Cosplay Day at Virginia Tech. The cosplay event game me images that I could make more artistic and work with some compositing. In this gallery, I also am showing some behind the scenes work for two of the movies I worked on including my first red carpet event for one of the films.